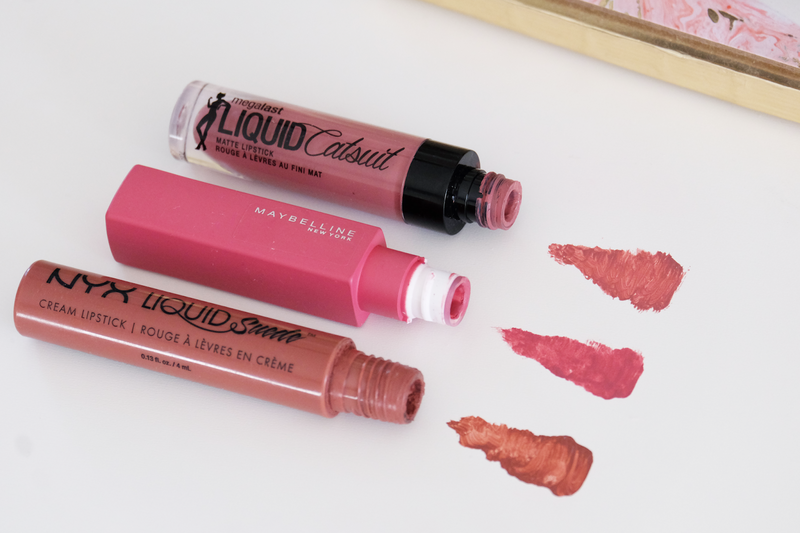 As much as I love mascara and think it's probably my dessert island make-up product, liquid lipstick comes very close behind it. You can be guaranteed 9 times out of 10 when I'm wearing something on my lips, it's a matte liquid lipstick. I mean I can't fault them, they're long wearing, have a fab colour pay off and are so much more comfortable to me than a lipstick or lip gloss. Now, I know that there are some liquid lipsticks out there that can leave your lips feeling dry, flaky and just aren't a fun time for anyone. I think we've all worn a matte liquid lipstick at some stage that's left us feeling like we've rubbed our lips in sand, right? 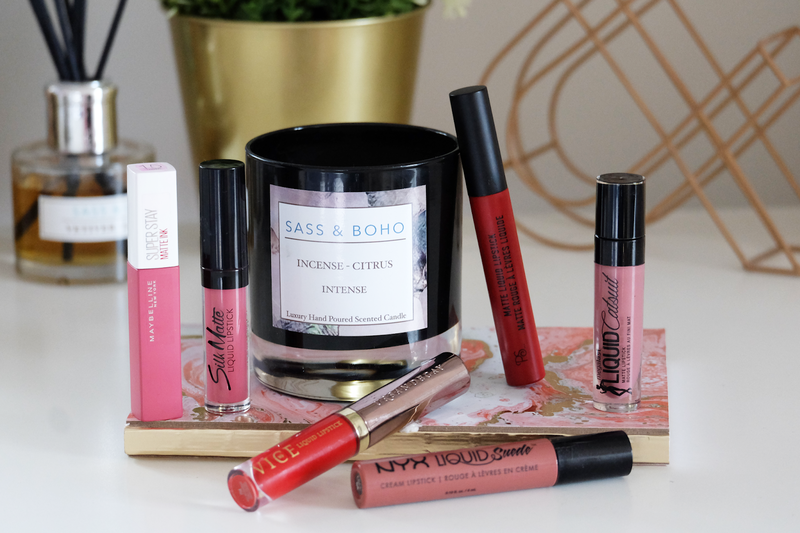 But fear not, I would never lead you astray so today I'm sharing my absolute favourite liquid lipsticks so that we never have to experience sand lips again! First up we have two of my favourite reds. The interesting thing about these two is that they're on very different ends of the price scale. The 'Lady In Red' matte liquid lipstick from Penneys is just €4 and includes a matching lip liner, and the Urban Decay Vice Liquid Lipstick in shade '714' is €19.50 (but currently on offer for €17.55). Now it has to be said that while they're both almost identical in shade and finish, the Urban Decay liquid lipstick does have more staying power. One of my favourite brighter pinks to wear is the Flormar Silk Matte liquid lipstick in the shade '04 Daisy' which I'm wearing in the Instagram post above. Since I tend to stick to more dusky pink/nudes, it's nice to pop this on from time to time as I find it brightens up my face and helps me look a lot fresher. 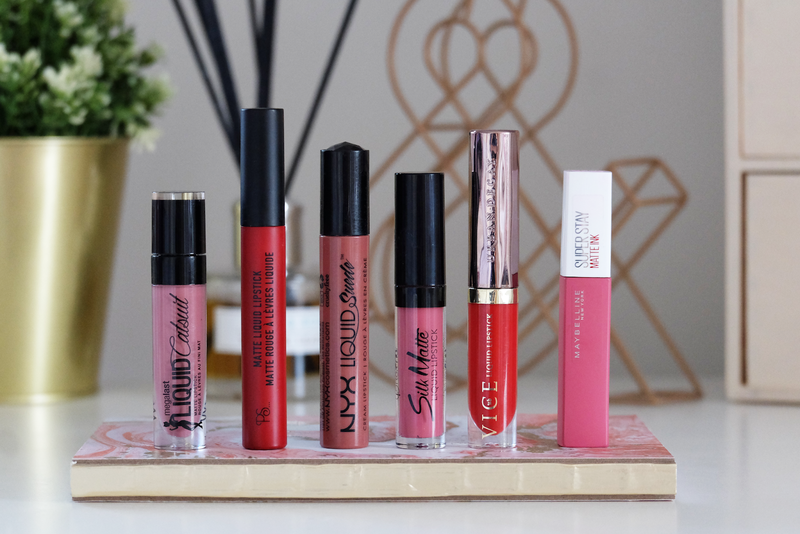 The Silk Matte liquid lipsticks are a gorgeous formula too so I need to remind myself to pick up a few more shades the next time I'm in Penneys. Next up are three of my most warn liquid lipsticks, I love the formula of each one, they don't dry my lips out or start flaking off and they're such gorgeous shades. I have to give a particular mention to the Maybelline Superstay Matte Ink because it's hands down the best liquid lipstick I've ever tried and I don't say that lightly. This gorgeous pink is the shade 'Lover', but I also wear the true red from the range a lot too which is the shade 'Pioneer'. I mean if a liquid lipstick could stay completely intact whilst I devoured a burger from Bunsen, then it really is something isn't it? The Liquid Catsuit matte lipstick in the shade 'Rebel Rose' from Wet'n'Wild is another one I wear very often, it's a lovely 'your lips but better' shade for me and again super comfy to wear all day. The NYX Liquid Suede cream lipstick in the shade 'Soft Spoken' is my favourite liquid lipstick if I want something a little darker and moodier. It's a really light formula so very comfy to wear. So there we have it, my six ride or die liquid lipsticks that I think everyone should try. Are any of your favourites featured in this post? 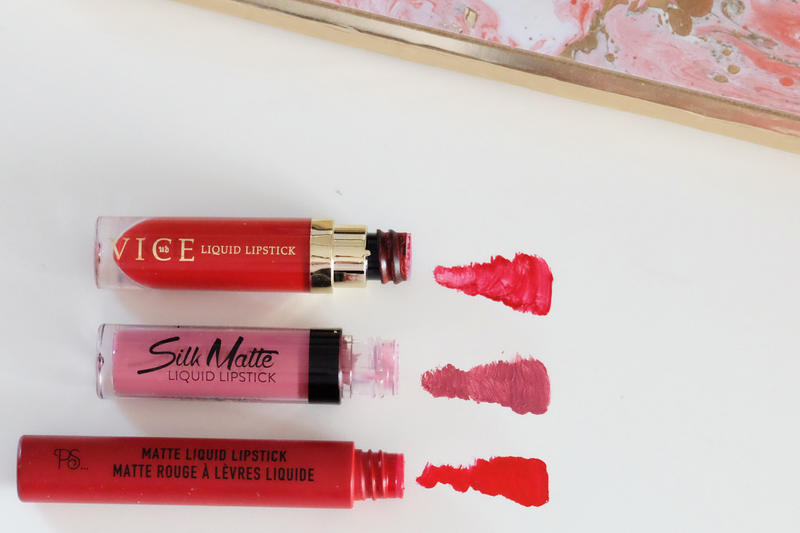 Or are there any matte liquid lipsticks that I simply must try? Thanks so much for reading today's post, I hope you enjoyed it and if you have any lipstick related questions, just pop me a message on Instagram or Facebook.